Your fellow adventurer, Thormod the Wizard, has been lethally cursed. His only hope is for you to find the fabled Cureleaf, a mystical herb with powerful healing powers. 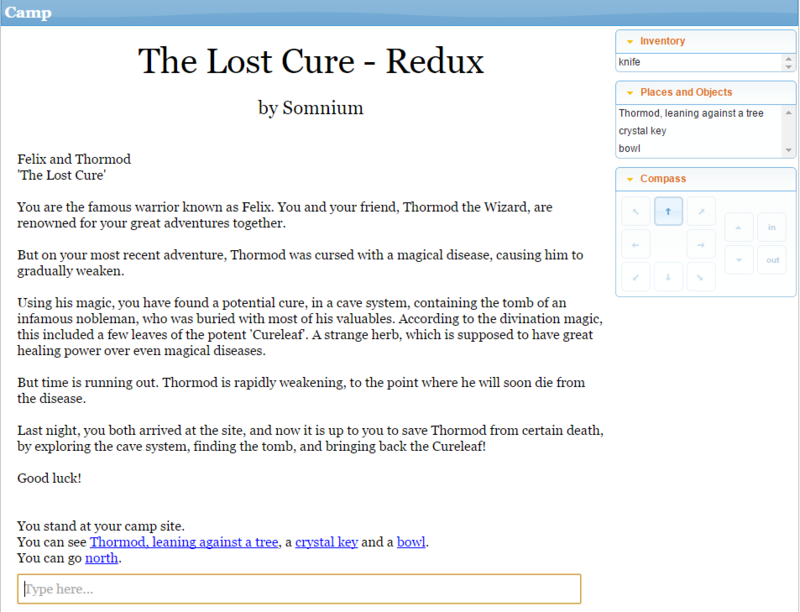 "The Lost Cure - Redux" is an old-school text adventure retro game. It is a ported version of my QBasic game of similar name. It was made to test out the "Quest" framework for making modern text adventure games. As it uses the "Quest" framework, you will have to download "Quest" in order to play the game.